This project is a residential compound located in the middle of a "bio-dynamic" farm in Moorpark, CA. 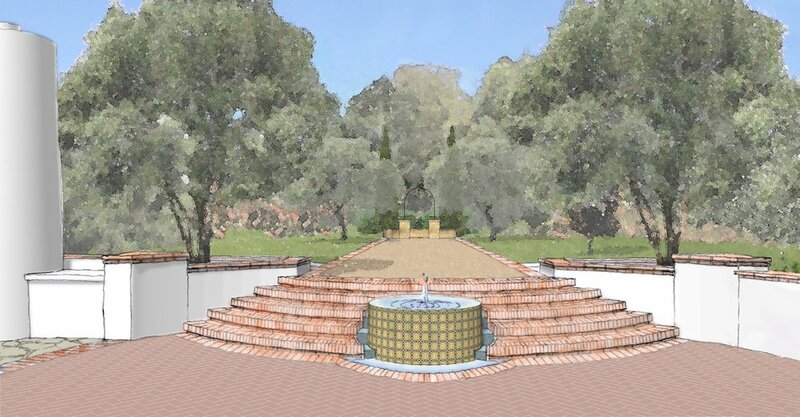 The landscape design is a response to the natural farm setting and the feel of early California hacienda architecture. In addition to designing unique residential spaces for the owners and farm managers, the design strives to be sensitive in its execution to the unique needs of the farm, who's certification for sustainability is the highest level available for food production. Current plans for this beloved garden are to replace the large clay lined Koi pond with a state of the art water feature, redesign the entire circulation system to provide universal access, upgrade viewing and gathering opportunities, and enhance the Japanese Garden planting to match the unique quality of the rest of the Lotusland garden.